Congratulations to our 2017 South Side Pitch Winners! KaZoom Kids Books, a subscription-based, interactive, multicultural children’s book company, was founded by Donna Beasley in 2015. Donna created this company in order to address a lack of multicultural children’s books in the current market. After winning the South Side Pitch, Donna used the prize money to increase marketing and development of the KaZoom Kids iStoryBooks mobile application and to commission new books. You can now find Kazoom Kids Books in the App Store and Google Play under iStoryBooks. Since winning South Side Pitch, KaZoom has grown from having a library of 8 books to now a library of 12 books (and growing) available on both their app and website. Interested in checking them out? Potential customers have the opportunity to read two books for free! Back of the Yards Coffee, a local coffee shop and roastery, was founded by Jesse Iñiguez and Mayra Hernandez in 2016. Jesse and Mayra, long time friends and Back of the Yards neighborhood locals, were both unsatisfied with working for others and consequently decided to follow their passion for coffee and open up their own business. In following their coffee dreams, they created a business that not only roasts beans and serves coffee, but is highly focused on the community and the neighborhood they inhabitat. All products that Back of the Yards Coffee uses, from pastries to coffee syrups, are made locally. Since their time on South Side Pitch, they have secured a $50,000 loan, they are meeting with and pitching to investors, and they used South Side Pitch funds, in part, to buy an old firehouse in Back of the Yards as their headquarters for the roastery operation. Their goal in the future is to get their roasted coffee beans into retail and open more coffee shops in neighborhoods on the South Side. If you are on the South Side and need a caffeine fix, check out Back of the Yards Coffee. re:work training is a company that recruits people with limited education, trains them on how to sell software, and then places them in well-playing software sales roles – free of charge. After working in the software industry, founder Harrison Horan saw many well paying entry-level jobs with potential for growth left open. He saw this as an opportunity to develop a pipeline of talented software sales people and to help solve the lack of financial freedom among low income people in the United States. In order to solve this problem, Harrison created re:work training. He is passionate about seeing hard working people achieve their potential. His goal is to continue to aid his community members in finding well paying jobs in growth industries. He wants to see his business spread across Chicago, the United States, and even the world. After competing on South Side Pitch, he used his new funds to continue to grow re:work’s exposure and hire Shelton Banks, a South Side native, as the CEO of the company. re:work training is excited to be celebrating turning 2 in 2018! Congratulations to our 2016 South Side Pitch Winners! Excuse Me Officer (XMO) is a mobile application created by Channing Harris, the winner of the 2016 South Side Pitch. The application enables its users to rate police officer interactions and monitor those ratings. Channing’s goal is to remove some of the stigma attached to reporting interactions with police officers. Through his South Side Pitch preparation, Channing says he was able to refine his business idea because he got the chance to explain it so many times! Channing also got a huge boost from the one year membership at Polsky Exchange attached to the grand prize. Thanks to his time at Polsky he has been connected with the CFO of Silicon Valley Bank and the Congressional Black Caucus. Since South Side Pitch, the XMO team has been hard at work on their mobile application. Channing is improving security and user experience within the app, and collecting more stories directly from users. Channing expresses that while the cash prize he got from South Side Pitch was valuable, it is really all the other aspects of the competition that helped his business grow. Oooh Wee! Sweet Tea was founded by Mark Walker. Mark left his desk job at a Ford Manufacturing plant when coworkers who’d tried his tea expressed that he’d created a very special product. Today Oooh Wee! has sold hundreds of thousands of cups of tea with no end in sight! Mark aims to help revitalize and uplift his community through Oooh Wee! Because of this mission Mark employs over 15 people across the city, giving young people opportunities all while serving as an entrepreneurial role model. Oooh Wee! has over 16 different amazing flavors of teas ranging from Caramel Apple tea to the fan favorite “Obama” tea. All of Mark’s teas are gluten free and made with raw honey from Mark’s beehives around the city. You can find Oooh Wee! Sweet Tea in Harold’s and other food spots around the city! According to Mark Walker: Walker applied for South Side Pitch because demand for his product was so high that he needed investment to meet the demand. Since the Pitch, he’s opened a restaurant and started franchising – so it’s safe to say that post-pitch, he’s meeting this goals! Justice of the Pies is a bakery founded by Maya-Camille Broussard that specializes in sweet and savory pies. Maya-Camille created the bakery to celebrate the memory of her father, a defense attorney who loved baking pies. She used the winnings from South Side Pitch to cover some of her operational costs. Since the competition, Maya-Camille is proud to have continued to invest in her social mission. Justice of the Pies is founded on her father’s idea that everyone deserves the opportunity to reform their lives. Because of this Maya-Camille has teamed up with Dream On Education, a nonprofit that provides services for at-risk communities. Together they created a workshop called “Pies in the Skies”, which teaches middle school kids about healthy eating. Maya-Camille has found that customers are drawn to this mission, and love to support. You can support too and find her pies at the Reynolds Club, A10 Restaurant, Build Coffee House, and in select Whole Foods! 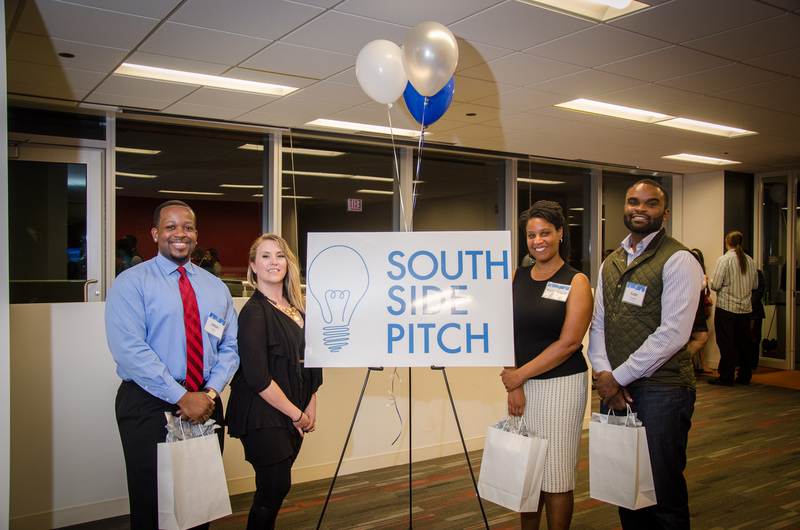 Congratulations to the 2015 South Side Pitch winners ! Alysia Sargent, Alexandria Willis, and Olamide Bamidele were the winners of the 2015 South Side Pitch. They pitched Go Dutch Today, a dating app that allows users to split the cost of the date to eliminate any expectations or awkwardness associated with footing the bill. South Side Pitch was an exciting opportunity for them to develop a creative business pitch and get guidance from seasoned judges. 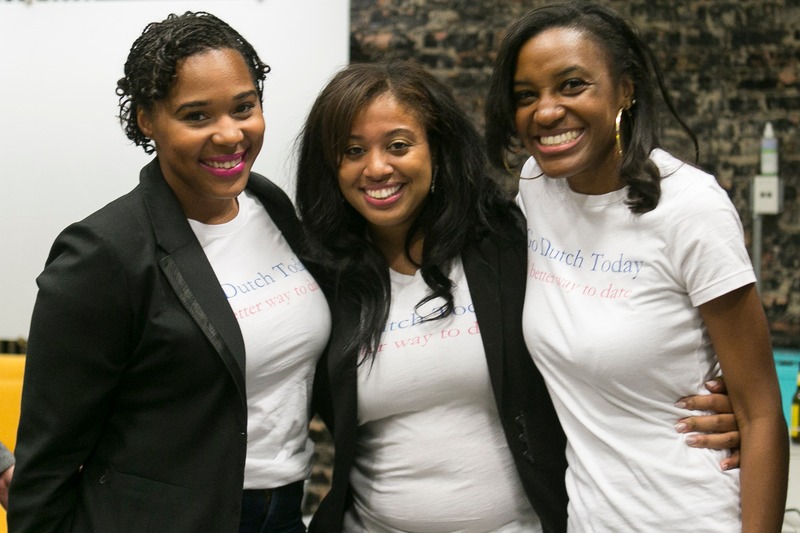 After South Side Pitch, Go Dutch Today not only received prize money that allowed them to continue working on an iOS and Android app, but also local press that has helped them build more visibility. Since then, Go Dutch Today has been working hard to market their app for the release in the fall, partner with businesses to create curated experiences, and develop events for users to engage and connect. The founders reflect that South Side Pitch gave their business a platform to grow and ultimately, create opportunities for others in the community. Konveau is a personality-based networking app founded by Jason Johnson, a finalist of the 2015 South Side Pitch. Johnson reflects that South Side Pitch, his very first pitch competition, helped him to learn the ins and outs of the business pitch and how to think quickly on his feet, both skills that came in handy in subsequent pitch competitions across the nation. Johnson has since experienced several exciting business developments from expanding the size of his team to working with tech consultants to planning the official rollout of his app in late August 2016! In fact, in the last six months, Konveau has been used at over 60 different events! 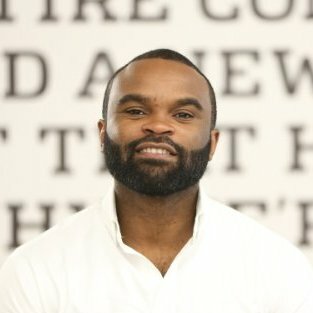 Johnson is proud of the platform he has built and has hopes to scale Konveau so he can build a sustainable monetization strategy. Griffin Kelly is the co-founder and CEO of TRAC (Timing and Racing Around the Clock), a company that simplifies and streamlines the way races and athletic events are timed. TRAC makes an innovative RFID-based hardware that tracks timing for each lap and a software that live-streams results onto the cloud and into the organizer’s iPad or tablet. Through partnerships with the Chicago Park District and Chicago Area Runners Association, TRAC has broken ground at 20+ Chicagoland races by helping to organize results quickly and accurately, a process that was traditionally complex and time consuming. This year, TRAC was accepted into the prestigious Silicon Valley accelerator Y Combinator and is now working on a new platform for crowdsourced race photography. Kelly hopes for TRAC not only to be the biggest name in road racing, but also to help bring communities and people together through a love for running. Congratulations to the 2014 South Side Pitch winners! Kimberly Jean Brown was the winner of our first Southside Pitch competition, pitching LegacyComplete.com. LegacyComplete is an online tool to that helps people with proper estate planning. Southside Pitch marked a series of new beginnings for Kimberly and her organization. Immediately following the competition, she received so much feedback from the audience and judges that she decided to revamp her entire design for LegacyComplete. Winning the Pitch also gave LegacyComplete the opportunity to join the Chicago Innovation Exchange and be surrounded by other entrepreneurs who became her mentors that wouldn’t have met if it weren’t for South Side Pitch! 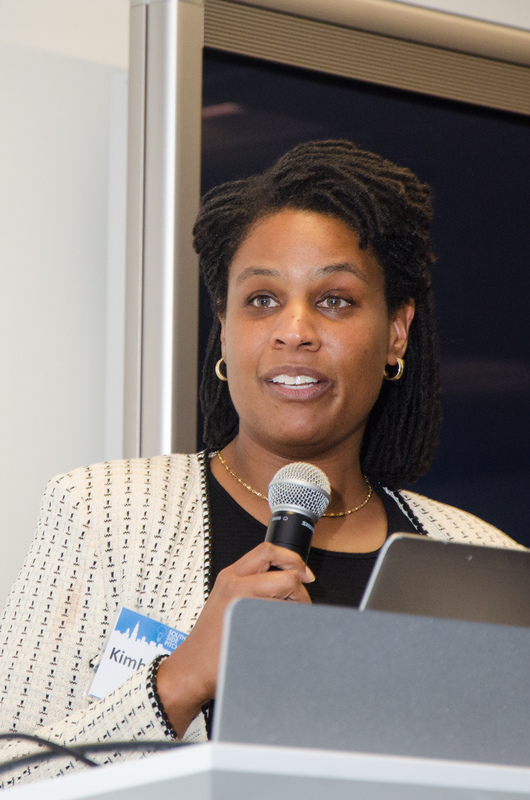 According to Kimberly: My participation in the South Side Pitch helped shape my business idea into a viable, scalable business. The pre-event coaching sessions were informative and valuable. In addition, the camaraderie that developed between the contestants and the I.J.C. team further enhanced the experience. The South Side Pitch is definitely a worthwhile event for entrepreneurs! Euler Bropleh pitched VestedWorld, an online venture capital fund that allows qualified investors to invest in carefully vetted companies based in emerging markets around the world. During South Side Pitch, he found the process of refining and articulating his business idea to a large audience integral in finding the confidence to commit to his startup full-time. Beyond the active feedback he got from the judges, the event helped VestedWorld secure a highly coveted spot in the business incubator at the Chicago Innovation Exchange and helped with initial PR activities. According to Euler: The South Side Pitch is a great opportunity to get valuable feedback on your business idea. Regardless of the outcome, taking part in the process will help you fine tune your idea and your ability to present it to potential customers and investors. 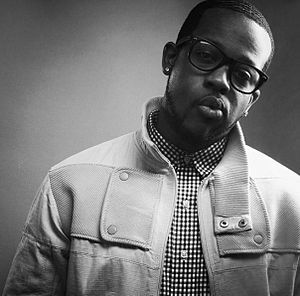 Jabari Evans had pitched the idea for LimeLightrr, an online platform that allows artists and their fans to interact simultaneously. A friend recommended that he apply to South Side Pitch. He describes the experience as the foundation that allowed him to embark on his subsequent entrepreneurial endeavors. The Pitch gave LimeLightrr the visibility it needed to market an event they hosted last year with Bacardi and Just Blaze. Father-son team Ed and Dale Hubbard pitched Nature’s Little Recyclers, a green tech earthworm factory aimed at recycling waste into healthy soil. Ed and Dale found that the mentors and connections were their biggest takeaways from South Side Pitch. With the help of their new-found mentors, Nature’s Little Recyclers changed their focus from a downtown tech company to a South Side (Englewood, Fuller Park, Back of the Yards) development company with a greater focus on waste management and local urban farm development. According to Ed and Dale: Pay attention to who the judges are… You need not be modest, but bold. Our single mistake was not quantifying ourselves as the ones who could do this great idea. 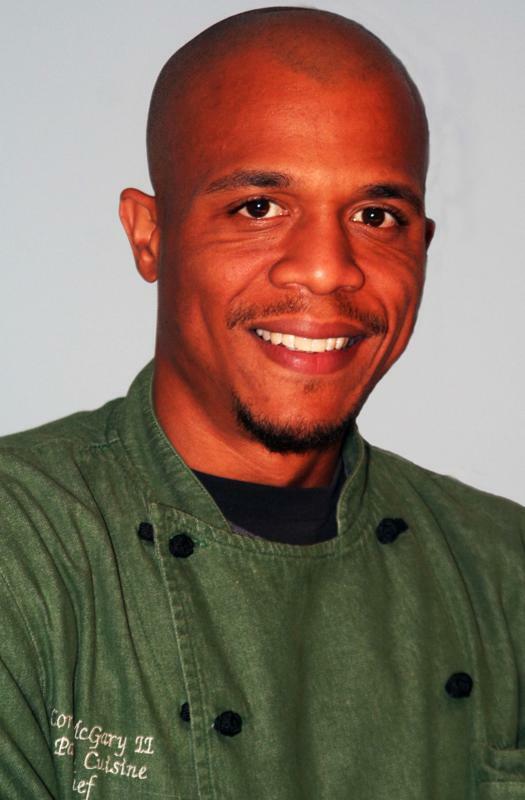 Eating Well with Chef Cordell Consulting, Inc.
From the beginning, Cordell McGary knew his culinary business was going to be a blend of for-profit and non-profit that would be challenging to establish and manage. 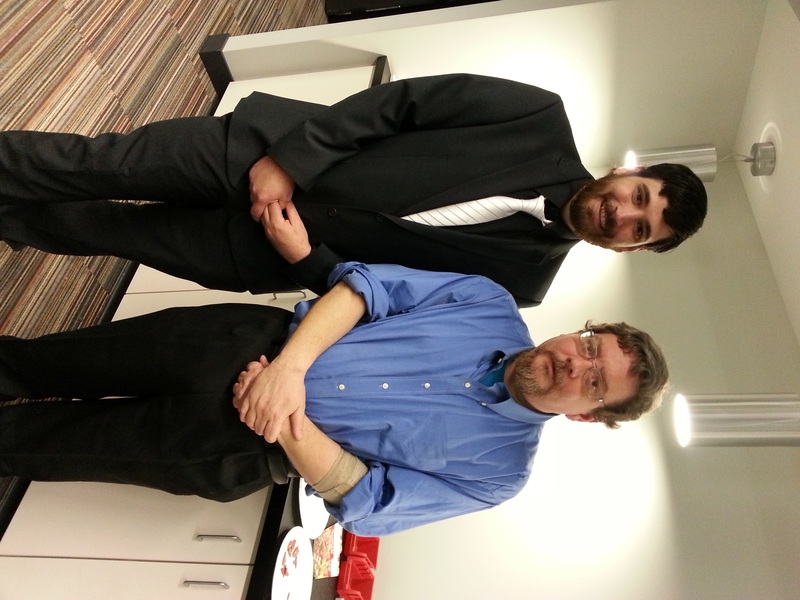 So, he applied to South Side Pitch seeking expert feedback from business professionals. He also hoped to gauge interest among community members. Since the Pitch, he says that the event has been integral in developing a better business plan, and reiterates that the expert advice was much-needed. Cordell now owns a business that trains, consults, and provides school staff and students with healthy meal service options through Food Service manager trainings and after school programs. According to Cordell: Speak clearly and confidently, heed the advice given by the judges, and KNOW your business (it’s your baby! ).